In connection with a grant awarded by the National Fish and Wildlife Foundation to The Conservation Fund on behalf of the Greater Baltimore Wilderness Coalition, a Community Planning Assistance Team assisted Harford County, Maryland, with a community-visioning meeting to gather residents' feedback about implementing a green infrastructure plan. Harford County engaged the expertise of the American Planning Association to execute and organize the visioning workshop to engage regional leaders and community groups on green infrastructure and resilience planning. The workshop focused on identifying and prioritizing opportunities in two subwatersheds: the more-rural Upper Little Gunpowder Falls and the more-urban Lower Gunpowder River. The primary goal of the project is to establish the parameters for delineating a green infrastructure network within the identified study areas, with a secondary goal of identifying and prioritizing land acquisition and restoration projects. A longer-term goal for Harford County will be to use the parameters established during the project to help delineate a county-wide network and create a formal Green Infrastructure Plan, the development of which has been identified as a goal within HarfordNEXT. Harford County environmental planners have identified green infrastructure and coastal resilience issues that have historically and recently affected public safety and property in the county. They include flooding damage, shoreline erosion, sewage overflows at pump stations and waste water treatment plants, deforestation and habitat fragmentation, loss of wetlands and headwater stream function, and pervasive establishment of invasive plant species. These factors have triggered a more proactive approach to implementing green infrastructure for more efficient and effective management of natural pattern disruptions. This report presents the Team's findings, observations and recommendations for the residents and stakeholders of Harford County, Maryland. Team Leader Jean Akers, AICP, and APA staff member Eric Roach conducted the initial site visit on April 22, 2016. The visit focused on touring the two watersheds and meeting with a Steering Committee organized by the community contact, Bryan Lightner. The full team visit occurred June 13–15, 2016. Team Leader, Jean Akers, AICP, along with team members Christina Arlt, AICP; Nicole Hostettler, AICP; and Jack Heide, AICP; and APA staff used most of the trip to prepare for the Community Visioning Meeting. Over 40 dedicated residents, Harford County staff, and the Steering Committee provided the team with in-depth feedback about green infrastructure in the area. 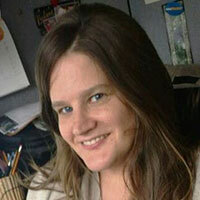 Jean K Akers is senior associate with Conservation Technix. Akers works with local governments and conservation organizations planning their park and trail systems and acquiring conservation lands. A professional landscape architect (RLA) and certified planner (AICP), Akers also has degrees in agriculture, horticulture, and landscape architecture. 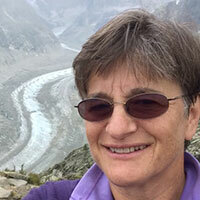 She served three consecutive terms on the Board of the Society of Outdoor Recreation Professionals to promote the professional development of outdoor recreation planners and related professionals. She has taught ecological site design and conservation planning (Conway School of Ecological Design), municipal planning for PMPEI (Pennsylvania Municipal Planner's Educational Institute), and college courses in horticulture, urban forestry, and landscape design. 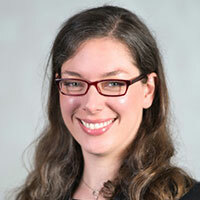 Christina Arlt is a senior planner in the Office of Smart Growth at the Delaware Valley Regional Planning Commission (DVRPC) in Philadelphia. She also coordinates DVRPC's Municipal Outreach Program and is currently involved in a municipal water quality project that is part of the Delaware River Watershed Initiative. Previously, Arlt worked in planning and zoning for Warwick Township in Bucks County, and spent a year as a Fulbright English Teaching Assistant in Hamburg, Germany. She obtained her Master's in City Planning with a focus on Land Use and Environmental Planning at the University of Pennsylvania, where she also obtained a Certificate in GIS and Spatial Analysis. Her undergraduate degree is in Urban & Environmental Studies from Franklin & Marshall College. Arlt is active in numerous professional organizations and nonprofits, including the APA Pennsylvania Chapter Southeast Section. Jack Heide is a resiliency manager with the Sustainable Jersey Resilience Program. He is working with Hurricane Sandy-affected communities connecting municipal leaders with long-term recovery and resilience planning resources and technical assistance. 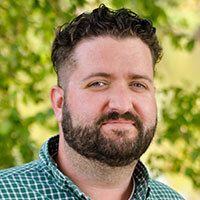 Previously, Heide worked as an associate planner for Douglas County, Washington and as a research associate for the Oregon Partnership for Disaster Resilience where he worked to combine natural hazards mitigation with climate change plans for the Cities of Eugene and Springfield. He was a captain and civil affairs officer in the U.S. Army deployed to Afghanistan to support redevelopment in government, agriculture, public health, and education. Heide holds a master's degree in community and regional planning from the University of Oregon, where he concentrated on natural hazards mitigation in the context of land use planning. Nicole Hostettler is a city planner at the Philadelphia Water Department in the Office of Watersheds, implementing green stormwater infrastructure projects as part of the Green City, Clean Waters program. Previously she was senior planner at the Township of Cherry Hill, New Jersey, for nine years, authoring several master plans and a new zoning code and a planner for the Delaware Valley Regional Planning Commission working on regional bicycle and pedestrian issues. She currently serves as secretary for the Southeast Section Council of APA's Pennsylvania Chapter and the Policy Committee for the Delaware Valley Green Building Council. After graduating from Michigan State University and serving two years in Chicago with Americorp VISTA, she graduated from Rutgers University with a master's in city and regional planning. Originally from the Detroit area, she currently resides in South Philadelphia.